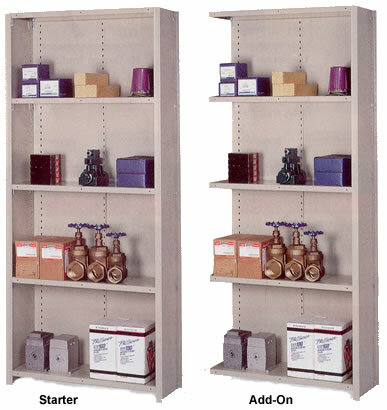 work or storage space into separate areas. sizes of tools, parts or products. 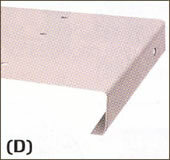 "W" shelves offer 600 lb. 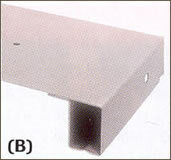 "W" shelves provide 900 lb. 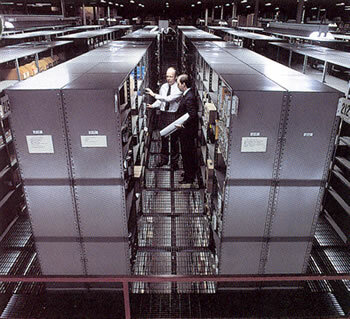 *NOTE: Capacities are based on evenly distributed load. 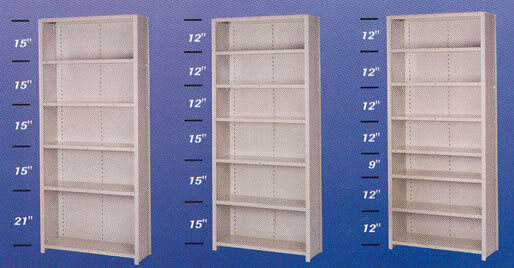 See shelf load capacities chart below. Maximum load capacity: 8000 lbs. per section. 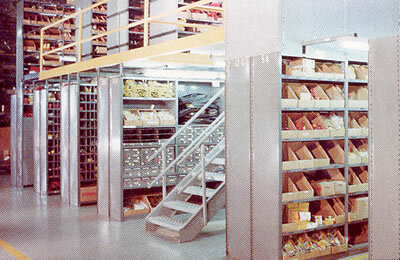 Shelving, Revolving Shelf Units, Closed Shelving, and Steel Shelving from your source for material handling equipment.